Bison Chili | how 'bout some cake? To me, the best thing about winter is comfort food. Unfortunately, a lot of comfort food is loaded with fattening cream, pasta, and cheese. But not this bison chili. It’s lean and packed with vegetables- so even though I’ve been known to garnish it with a few shreds of cheese and a dollop of sour cream- it’s a hearty, filling meal you can enjoy it without a side dish of guilt. Note: This is especially delicious served over Frito chips, but that pretty much ruins the whole “healthy” thing. It’s kind of a lot of stuff, but the meal comes together really quickly once you get it all home. Put a large dollop (about 2 tablespoons) of oil in the bottom of a large pot. Sauté the onion and garlic on medium-high heat (this will smell like my grandma’s kitchen, which always makes me smile). 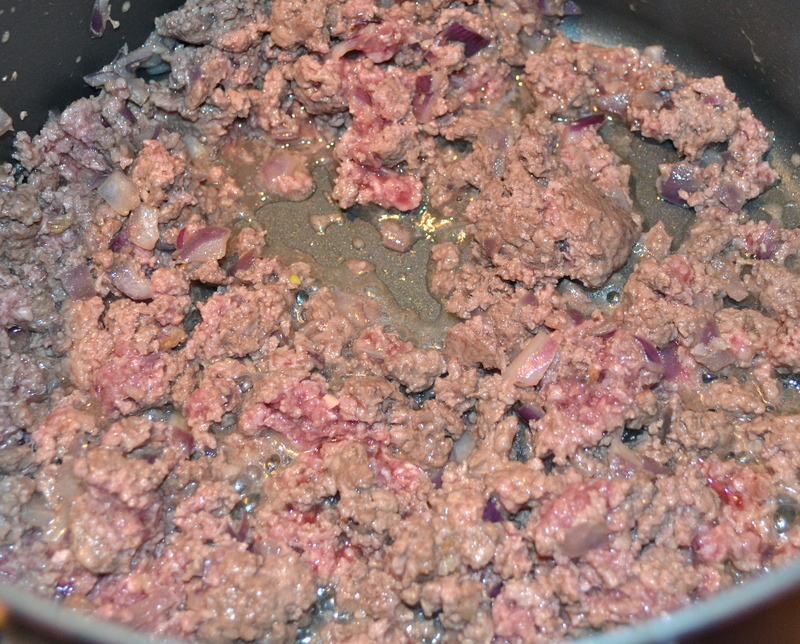 When the onions turn clearish, add the meat and stir until broken into little pieces and is brown. While it’s browning, open all the cans. Once the meat is brown, start dumping the cans into the pot. 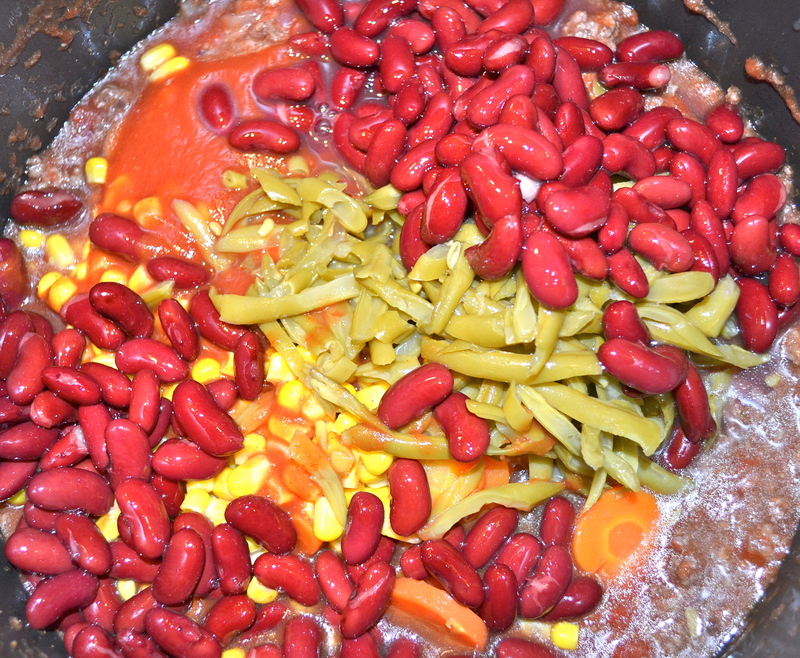 Some of them will need to be drained first, like the beans, corn, green beans, and carrots. Don’t drain the tomatoes! You want all those juices. Mix them together and continue to cook over medium-high heat. 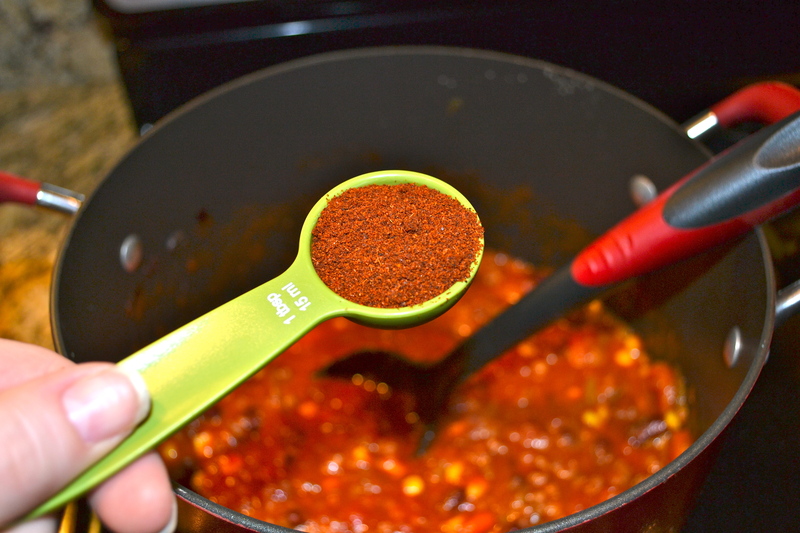 Add a tablespoon of chili powder, a teaspoon of salt, and a 1/4 teaspoon of pepper. I usually taste it at this point and adjust as necessary. Cook until everything is warm, stirring regularly, about 30 minutes. This recipe is one of the only I’ve ever created and it’s a household favorite. I based it off something my mom made growing up called “North Carolina Chili”. The recipe makes a pretty big batch (probably feeds 6 women or 4 men). It also makes great leftovers. Hope you love it as much as we do! 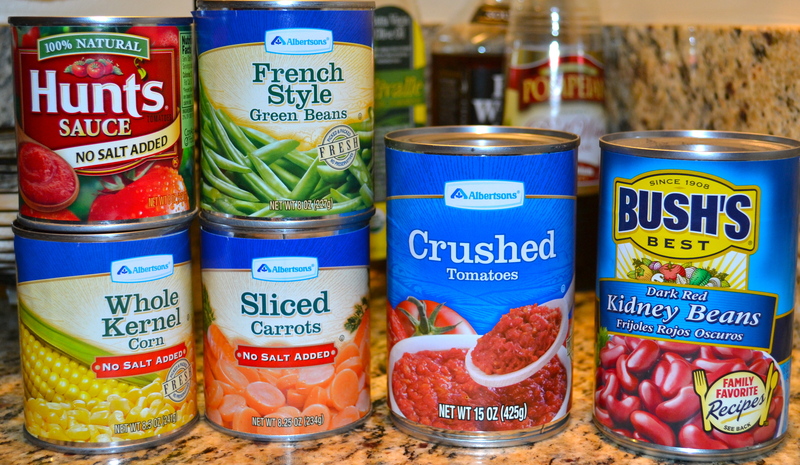 This entry was posted in Food & Recipes, Healthy meals & snacks and tagged bison chili, bison chili recipe, chili, easy dinner recipes, healthy chili, healthy chili recipe, healthy dinner recipe, home-cooking, north carolina chili, one pot dinner, winter meals. Bookmark the permalink. Thanks, and thanks for reading Anna! That looks yummy on a cold day like today! I’m wishing for a cold day! It’s been in the 90s here in San Diego. For the first time, I’m missing Georgia weather. Ohhh, this looks so yummy! Basically anything with cheese is comfort food to me, so this definitely still qualifies. I have actually never made my own chili, so I will be trying this out! 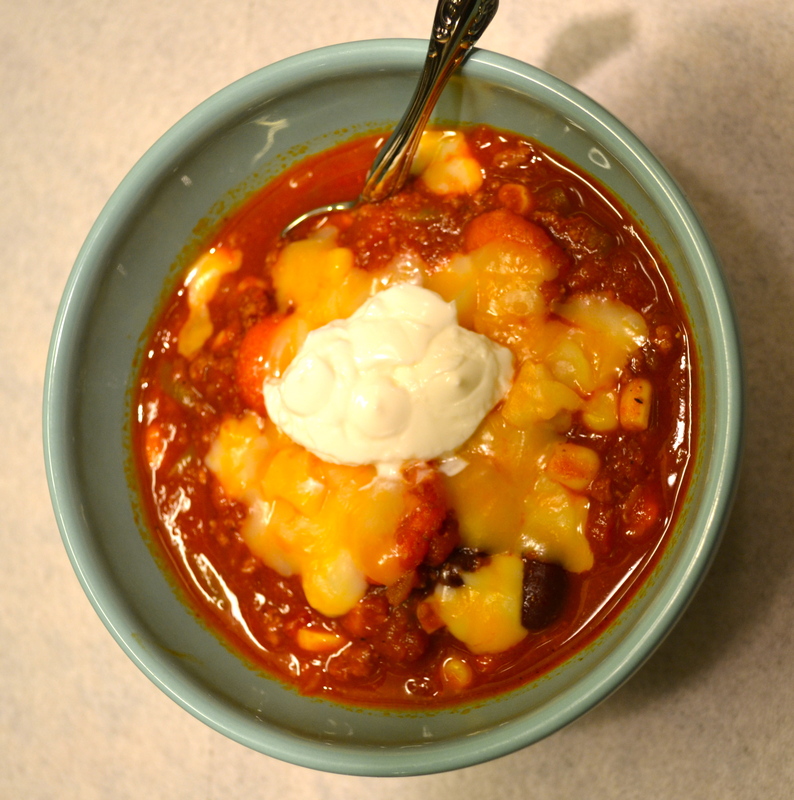 I totally hear you on the comfort food thing and chili is one of my favorites! I want to try this recipe ASAP! This looks amazing! I love the whole healthy comfort food idea since there aren’t many out there. I cannot wait to try this! Ooh, thanks for the tip! I did intentionally buy “no salt added”. Pingback: Vegan Chili | how bout some cake?